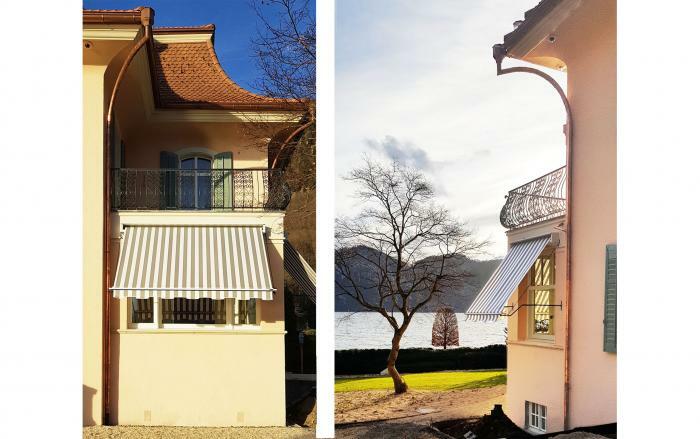 Morco have manufactured traditional Victorian awnings in London since 1956 but are being increasingly recognised as a world leader in the manufacture and installation of all types of traditional awnings. 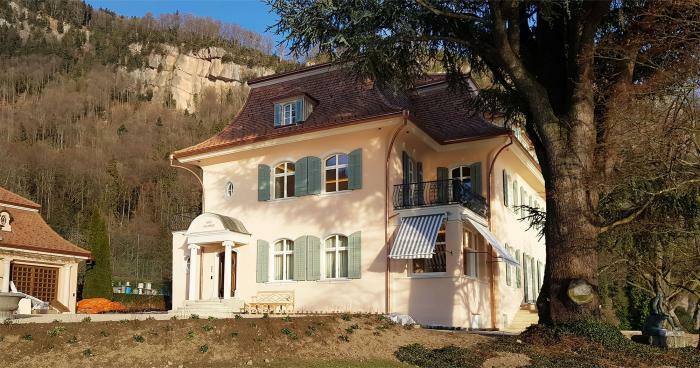 These eight Victorian awnings have been manufactured in our London Factory but transported to Switzerland, for installation on this magnificent villa overlooking a well known lake. 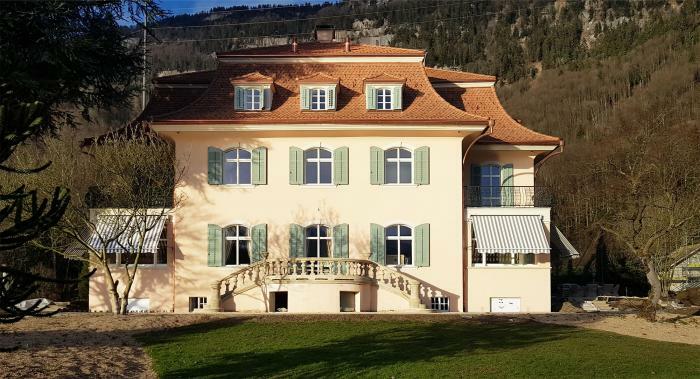 Whilst the awnings have all been manufactured using our usual high traditional methods they are complimented by the use of modern tooling and technology to ensure that, not only do these awnings meet the design criteria dictated by the original awning style, but the use of modern wireless motorisation, gives the product an enhanced integrity and ease of operation.